Bravo! More Light has Been Revealed. Bravo! Kudos to Mordechai O. who picked up the the challenge and noticed a profound connection within the 5 core Torah elements that we’ve been discussing in our last two articles (It’s a Beautiful Thing, and Even More Beautiful). I noticed a much more coincidental one considering that the sum of all the digits in those 5 elements equals 109 and that is that we’ve just completed our 109th post. Yes, that too is unplanned destiny, but what Modrechai recalled from one of our much earlier posts is of real significance: It’s that 109 is the gematria of “David H’Melech,” King David. That is even more significant considering that the midpoint from the 5778 years Adam to Moshiach is the midpoint in King David’s life (2889 HC) and that as Mordechai further pointed out, the sum of the digits in the 5 core quantitative elements divided by 5, in other words their average value, is 21.8, reminiscent of 2018, the year Hebrew year 5778. 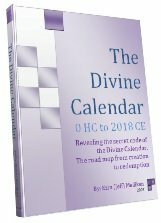 What this also means is that the value of “David H’Melech” or 109 also marks the midpoint to 2018 (5778), and that the Divine Calendar was indeed designed into the overall structure of the Torah. And indeed, following the pattern of halves that Mordechai unearthed for all of us, we find that the square root of the sum of the 5 total elements is 442.426.., or depending how we look at it 4 coupled with 424 (Moshiach Ben David) coupled with 26 with both 4 and 26 being the most basic and common representations of the 4 letters (YHVH) of the Tetragrammaton. And lets not forget that G-d’s Covenant with Abraham in 2018 HC was called the Covenant of Halves. There are many many more secrets in these numbers and much more light to be revealed through them, such as the 670 paragraphs divided by the 187 chapters give us an average of 3.5828… paragraphs/chapter with 358 being the numerical value of Mashiach (messiah) and 28 being one of the core/key Torah numbers as revealed in The Genesis Prayer and in Nothing is Random in the Universe. And as Mordechai also pointed out: 28 is the sum of the digits in 391,483, which is the sum of the 5 quantitative core Torah elements. One other quick note to point out is that when in the previous article we separated the digits in the 5 elements into those that correspond to 5778 (5,7 and 8) and all the others, which totaled 67 and 42 respectively, what we left out was that the square root of 67 x 42 is 53.0… and that 53 x 109 = 5777. Also, in the previous article, we said the sum of the 5 elements divided by 67 (Binah) = 5843, or 2 less than the number of verses 5845, and we asked why are there 2 missing. We won’t answer that today, but we will point out that the sequence 5843 is the verse of the number of letters in the Torah: 304805 so quite obviously this was extremely intentional on the part of the creator, and all the energy of the Torah derives from Binah. There are still tons of secrets cloaked within these numbers and a huge amount of light to be revealed, so give it a try, peel back some layers from yourself and the universe, and stare deep into the scaffolding that the Torah was built on, then share the light with the rest of us. 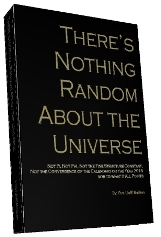 Author Jeffrey MeilikenPosted on June 23, 2009 April 2, 2019 Categories RevelationsTags 137, 187, 2018, 22, 26, 2889, 304805, 358, 424, 5778, 5845, 670, 79976, abraham, Adam, covenant, covenant of halves, David, David H'Melech, divine calendar, Genesis, Hebrew Calendar, Jewish messianism, Judaism, kabbalah, king david, Mashiach, Moshiach, moshiach ben david, Religion and Spirituality, Torah, YHVH5 Comments on Bravo! More Light has Been Revealed.